What can I say? I really really wanted sparkling birdies and luscious flowers. Today was lesson #4 of House Hunt by Tapestry Fair. Another fun Mystery Class has come to an end. The stitchguide is now complete. This unfortunately doesn’t mean my canvas is completely stitched. Oh well. The incomplete areas are mostly basketweave and you know what that does to me. 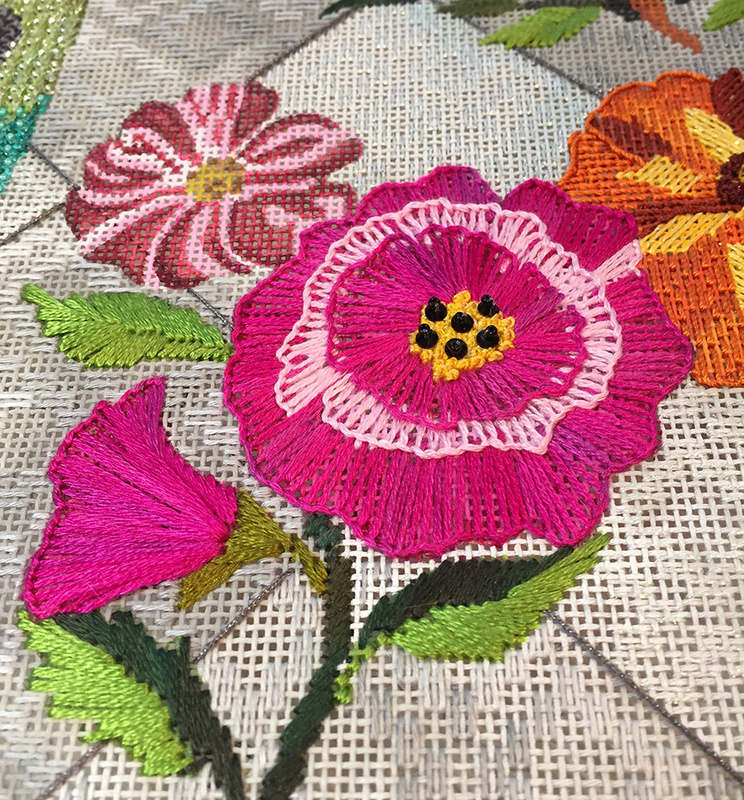 The big beautiful pink flowers are Buttonhole Stitch. I love embroidery/crewel stitches on canvas. 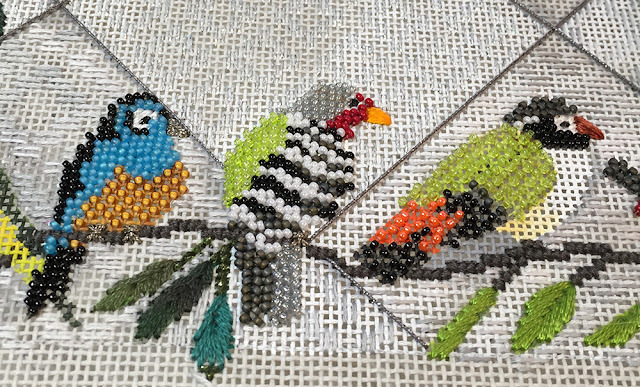 It’s a nice soft look to juxtapose the counted stitches. A great trick I learned from Lynn Payette that makes all the difference in the world when doing a Buttonhole Stitch is to start with a Lazy Daisy loop. This starts you with a pretty smooth curve; from there it is easy sailing. The birdies are all beaded! I had an idea in my head that not only did I want all the birds beaded but I wanted them beaded in different manners. 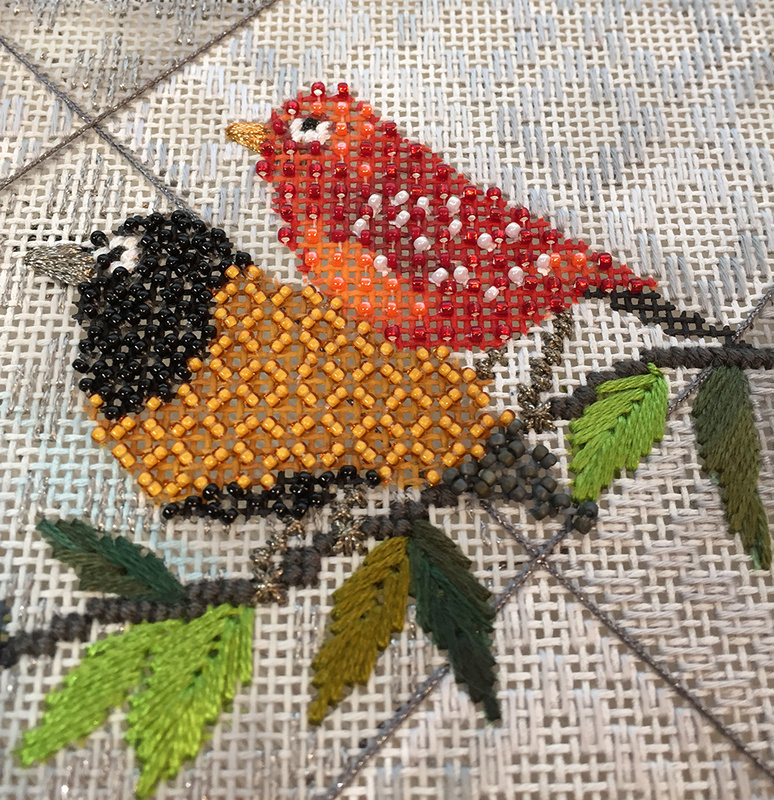 These little fellows become a sampler of techniques. This was a fun diversion from my usual over the top canvases. 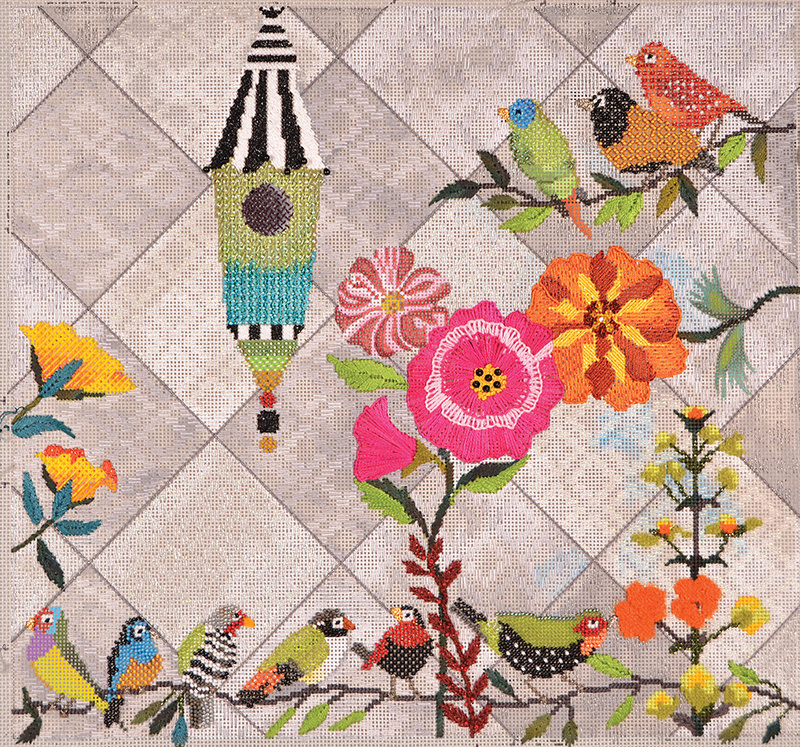 It is soft and delicate and super fun to stitch. To my ladies waiting for canvases, they should be here any moment. Your threads and guides are ready as soon as we have canvases they will be off in the big brown truck. 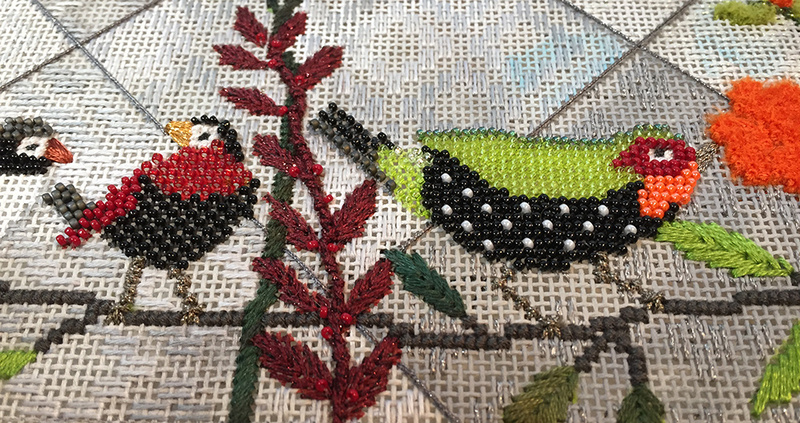 If you are interested in beaded birdies and subtle nuances of backgrounds give us a call at 410.296.0405 or order your canvas and threads here. We’d love to have you join the fun.